Bierzo is a small and remote ancient region in the north-western corner of Castilla y León. Until recently, it was unknown to the international wine market yet, thanks to the investment and innovation that swept Spain in the 1990s, it now counts as one of the country’s rising stars, on a par with the likes of Rueda and Jumilla. Mencía is the primary grape, covering nearly two-thirds of the vineyards. The wine region of Bierzo (or El Bierzo) is a small, rural and remote ancient region in the north-western corner of Castilla y León, touching the eastern border of Galicia. Up until the 1990s, it remained unknown to the international wine markets.However, thanks to the wave of investment and innovation that swept many parts of Spain in the late 1990s, the wine region of Bierzo now counts as one of the country’s rising stars, on a par with other wine hotspots such as Rueda, Penedès, Toro and Jumilla. Mencía is the region’s primary grape and undisputed star, covering nearly two-thirds of the vineyards. This red grape variety is grown almost exclusively in the north-western part of Spain (especially in the DOs of Galicia, Valdeorras, Monterrey, and Ribeira Sacra). Mencía ripens early, by mid-September, and is well suited to the maritime climate of Bierzo where autumn rains are quite common. Mencía has only recently come into the spotlight as a quality, potential-laden grape variety. When properly made, it offers fascinating wines across a contrasting spectrum of styles: at one end are fruity and forward wines with supple tannins and succulent fruit; at the other, more concentrated, powerful styles with an exotic earthiness, smooth tannins and an enviable reflection of the mineral-rich Bierzo terroir. Mencía is capable of making excellent wine on its own, with no need to sacrifice its unique character in the Cabernet Sauvignon or Merlot blends that are so commonplace elsewhere in Spain.Other grape varieties planted in Bierzo include the red Garnacha Tintorera, and the aromatic whites Godello, Doña Blanca and Malvasía. The region received its DO (Denominación Origen) from the Spanish wine authorities only in 1989. Today it is home to approximately 60 wineries and over 4,000 growers, which means that Bierzo remains a highly-fragmented wine region where the average holding is miniscule. The wine region made its breakthrough in 1999 when Alvaro Palacios teamed up with his nephew, Ricardo Pérez, to establish Descendientes de J. Palacios. Alvaro Palacios is recognised as one of Spain’s most talented and visionary winemakers, having revolutionised the wines of Prioriat in the late 1980s - he was one of the “founding 8” of Priorat winemakers who brought international fame to the region. Descendientes de J Palacios remains one of the best wineries in the region, focusing on the Mencía grape, with some of its vineyards planted on steep hillsides and as much as 50 or even 100 years old. In 1999, Álvaro Palacios – famous for having revolutionised the wine scene in Priorat – along with his nephew Ricardo arrived in Bierzo. The pair brought much-deserved attention to this old wine region, and were instrumental in its revival. Their releases are all from the Mencía grape. 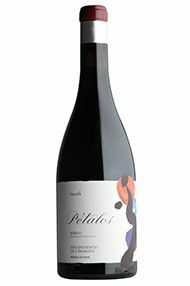 Pétalos is produced from 60-year-old vines and is therefore an intensely concentrated wine. Deep ruby in colour, its nose displays generous _ but not overripe _ notes of red and black fruits, lifted by hints of violet and wild herbs. There is a minerality and hint of graphite which creates a velvet-like finish. Drink now to 2020. 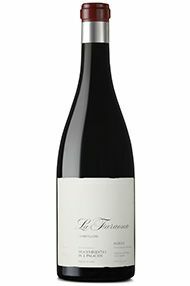 ‘La Faraona’ is a wine from a single parcel of vines on the highest hill in Corullon, Bierzo, scaling 855 metres. The vines are south-east facing and have an average age of 65 years. The wine is bottled without being filtered and this adds to its depth and character. The nose is mineral but there is a note of damp heather and a leathery, animal character which provides a nice contrast with the up-front red fruit. The palate is very dense and concentrated which bodes well for those of a ‘hoarding’ persuasion as a couple of years in the cellar are certainly necessary if this wine is to offer-up its true expression and stomp, flamenco-style across your taste buds. 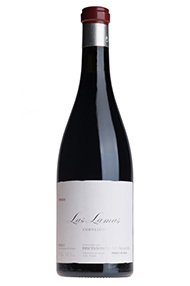 From a single parcel of vines, La Faraona is the best Mencia on the market. The nose is beautiful with heady violets, lavender, crushed rocks and forest floor. Alongside the abundance of aromatics, this has fleshy, ripe fruit flavours and captivating smoky oak notes from the 600-litre barrels. The minerality keeps everything fresh and pure but a powerful structure suggests this will be a long lived one. This has such a long finish, showing all the details and layers you expect in exceptional wine. These 60+-year-old Mencia vines around the village of Corullon are farmed biodynamically, and you can almost sense earthy, savouriness on the nose, full of generous plum and mulberry fruit. The palate has a lovely textural mouthcoating quality, hints of roasted meat and mocha. Great juice balanced off with crisp acidity, spice and pepper. Drink now and over the next five years. Bierzo's principal grape is the obscure, indigenous red variety Mencía. While Bierzo is a relatively new wine appellation (a DO since 1989), it has a wealth of very old vines, planted on extremely steep hillsides, and in this respect it much resembles the Priorat region. Alvaro Palacios, with his nephew Ricardo Perez, established Descendientes de J. Palacios in 1998 in the village of Villafranca del Bierzo. This is almost the definitive expression of Mencía, its vines perched on a stark vineyard of pure schist. Typically aromatic, this Mencía combines concentration with remarkable finesse. Floral notes lead to dark, well-defined blueberry and blackberry fruit. It has lovely depth, but is linear in style, so you’ll experience a luxurious glide along the palate. There is a real lightness of touch on show here. Very classy indeed. Bierzo's principal grape is the obscure, indigenous red variety Mencía. While Bierzo is a relatively new wine appellation (a DO since 1989), it has a wealth of very old vines, planted on extremely steep hillsides, and in this respect it much resembles the Priorat region. Alvaro Palacios, with his nephew Ricardo Perez (who also spent time in Bordeaux), established Descendientes de J. Palacios in 1998 in the village of Villafranca del Bierzo. This is almost the definitive expression of Mencía, its vines perched on a stark vineyard of pure schist, its wine distinctively aromatic, with a Cabernet-Franc-like garrigue and lavender freshness at the front of the palate, then real dark fruit concentration, fine new-oak tannins providing real backbone and support to the generously ripe palate.